With over 15 years of sales experience and 6 years in the Real Estate industry - Kyle McLaughlin's mission is to provide value to every industry professional he comes in contact with via high-level coaching, training and accountability. 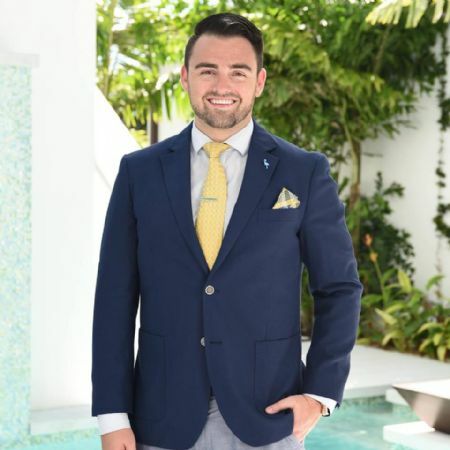 Originally from Santiago, Chile, Kyle moved to Naples, FL with his Mother in 2000 and is a fluent Spanish-speaker with also a native understanding of the SWFL market. In previous roles in Real Estate, Kyle has helped other brokerages grow their value proposition by developing success-driven programs that allow agents to succeed with a set plan in place from day one - Kyle is able to sit in the same chair as his fellow agents when training and mentoring through his own experiences as he has been involved in over 100 transactions in the last few years ranging from starter-homes for first time home-buyers, investment portfolios for sophisticated investors, and a personal-best sale in 2017 located at 1 10th Ave S that closed for $10M. Over the last few years, his niche moved from providing value to buyers and sellers, to now, providing value and guidance to Real Estate professionals across our local market - with the goal of soon having a nation-wide reach in aiding ambitious Agents achieve their goals and financial independence through Real Estate. At his last company, Kyle was able to triple the collective sales volume of the company from $85M total volume in 2015 to $240M in sales for 2017 - This was achieved through strategic programs and value driven recruiting that enabled agents to generate leads, cultivate them and have the proper training and mentorship in place to close a high percentage of contacts; along with continuing to scale their businesses through advanced training and team building. "Each transaction in Real Estate is a unique relationship" says McLaughlin "Our duty as Real Estate professionals is to provide a customized and individual approach to each and every client based on their personality, occupation and goals - delivering on these key points is the secret to being successful in this industry; as you will unlock your potential and value, as a professional and an individual, to the marketplace"
Kyle's passions outside of Real Estate include Soccer, Football and Baseball along with regular visits to his local CrossFit gym, spending time with Family and loved ones, and charitable involvements with the Youth Haven, The Shelter for Abused Women and Children, and St. Matthew's House.